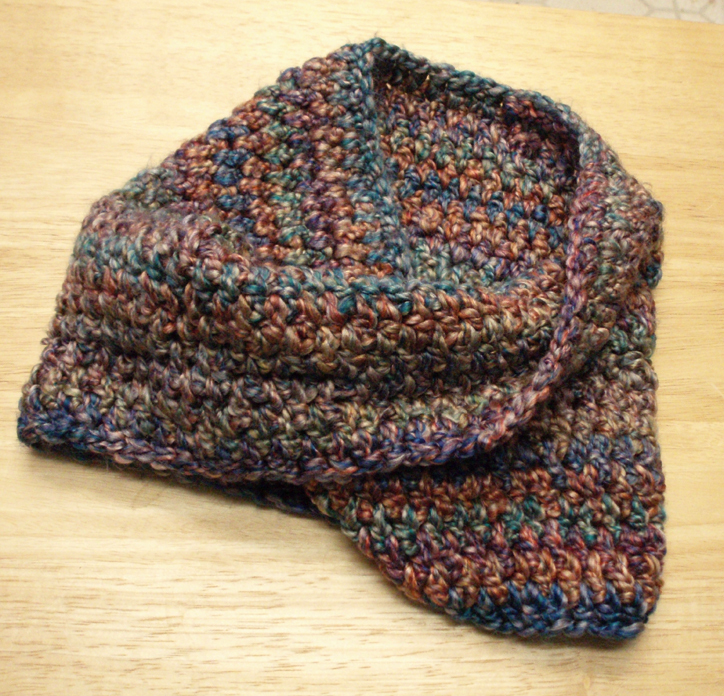 The Painted Desert Mobius Scarf is made with a soft yarn in shades of brown, rust, blue, teal, gold and red. 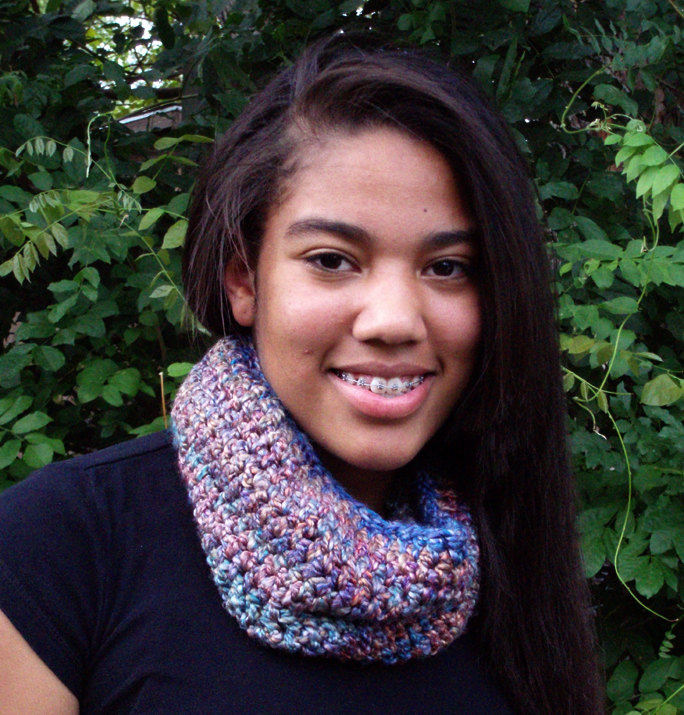 Mobius scarves are a circular scarf with a single twist. A 24" circumference slips easily over the head with no risk of accidentally losing a scarf that slips off.